The engineers at FAST have taken the XIM to a whole new level. The coil-on plug ignition controller, originally developed for use with XFI systems, is now available in a standalone kit. These kits will enable programmable control of the popular late model coil-on plug ignition systems, independent of the fuel delivery method or any factory computer. 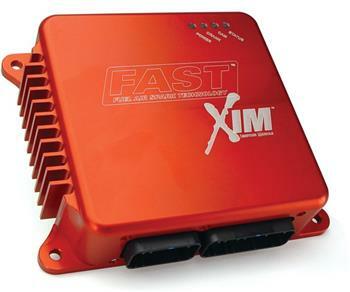 The standalone XIM can be custom tuned as desired with the easy-to-use adjustment dial pots. This bolt-on solution to coil-on plug ignition is the easiest and most reliable way to run a carburetor or EZ-EFI on your engine. Does NOT require XFI or OE computer. Ready to run, tuning optional.